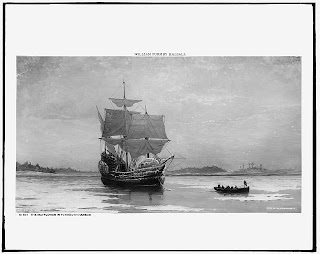 a3Genealogy: African American Mayflower Descendants? The very first person I ever helped to fill out a Mayflower Application was a black man I met at the NEHGS library. We had a common ancestor, passenger George Soule. At about this same time, Plimoth Plantation was being criticized for having a black actor portray Abraham Pierce in their living history museum. The controversy still exists, was Abraham Pierce a free black man? I wish there were some real answers to these questions. I worked for Plimoth Plantation for 6 years. Juan Pedro lived at Plymouth from 1622-1623. First Black Heritage Pilgrim? Today's Plantation tour guides refuse to acknowledge this. Abraham Pearce was a Pilgrim who came to Plymouth in 1623. Was he White or Black? Only a DNA can prove this.Most of the Pierce descendants refuse the DNA test. Both Pierce lines, male and female need to be tested. There is a Conspiracy to down play Black Pilgrim History here in Plymouth. I'll continue to seek the truth on this. 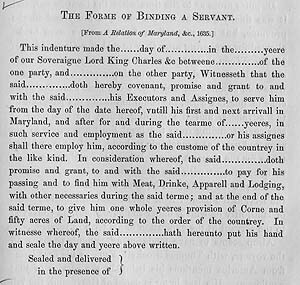 As an indentured servant, you would not be considered "property"! Heather, thanks so much for the comment. So I'm assuming your person is a member? I must look up Abraham Pierce - this story sounds absolutely fascinating. It appears you missed this statement in the first paragraph "I have posed it to the society, but still awaiting a solid answer." As of to date we have not received an official response, but we have requested the information 3 times to the Society. ric - pretty rude and crude approach don't you think? Ever heard of a literary device? I am a distance descendant from Alden. To my knowledge there were no African's on the ship from my reading. The intermarriages in my family kind of turned around and provide descendants of color. My grandfather married a mulatto. I am interested in joining the Society. I am in the DAR from another line. 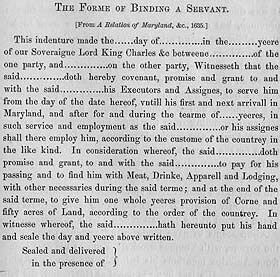 I am the Charlotte Mayflower Colony Governor and I found this article because I want to make sure that all people know that they are welcome in the Mayflower Society if they are descended from one of the 66 people who were on the Mayflower. I was looking for what is out there (online). As we approach the 400th anniversary, I think it is important that our membership reflect the results of centuries of living together in this and. Also, not all descendants are Americans. Membership only requires documentation that one is a descendant. Thank you very much for stating that all are welcome. I have just sent my preliminary request and hope to be accepted as a descendant of John Howland and Elizabeth Tilley (and her parents) through the Hannah Howland/Jonathan Bosworth, Jr. line. Persis Bosworth was my fourth great grandmother. I just sent away my preliminary paperwork to join the Mayflower Society in California. My ancestors on the Mayflower are also ancestors of the George H W Bush family and many many other well known people. I fully expect to be admitted since the son of my DAR Patriot married a Mayflower descendant. The passengers on the Mayflower were not African, but there are plenty of black descendants thanks in part to my great great grandmother. It's a wonderful thing!